Since 1972 Cycle Europe has been one of the most established and trusted companies for bike rentals in Italy, France and greater Europe. We specialize in providing full-service bike tour support for groups, clubs and professional tour operators. If you are renting over 6 bikes, ask us about group discounts (special conditions may apply – please inquire below). From rentals to support services, we are fully equipped to be a one-stop shop for groups of friends, couples, families or colleagues organizing multi-day tours. Requests for accessories or add ons. All bikes are equipped with a pump, rear rack (depending on model), lock and under-seat pack (containing a spare tube, tire irons and patch kit). Water bottles, helmets, rear rack packs and map carriers are not included but can be provided upon request. 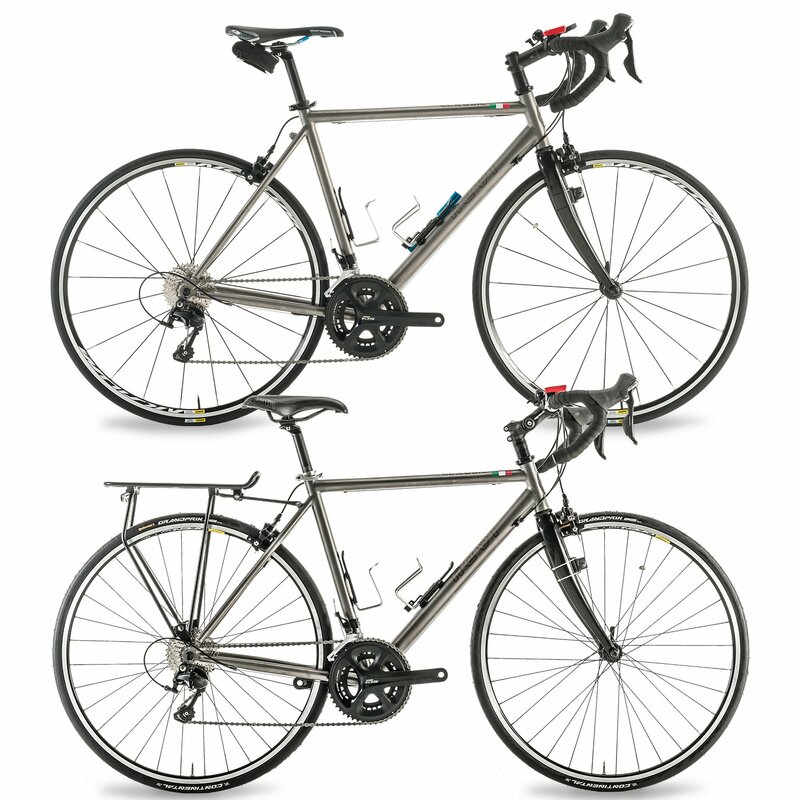 Van Nicholas Yukon 3AL/2,5V or Nevi titanium road frame and carbon fork – a great light bike for touring or riding classic alpine climbs of Europe. All bikes come with cyclometer, bell, lock, pump, 2 water bottle cages, a water bottle, an under-seat pack that contains a spare tube, tire irons and patch kit. Rear rack and rear light (can be removed on request). The perfect combination of light and comfortable for long rides or the cyclists who wants performance but sitting in more of an upright position. Mixte/Step Through Frame also available. Van Nicholas Amazon 3AL/2,5V titanium hybrid/mixte frame and VN Slx carbon fork. All bikes come with cyclometer, bell, lock, pump, water bottle cage/s, a water bottle, an under-seat pack that contains a spare tube, tire irons and patch kit. Rear rack and rear light. 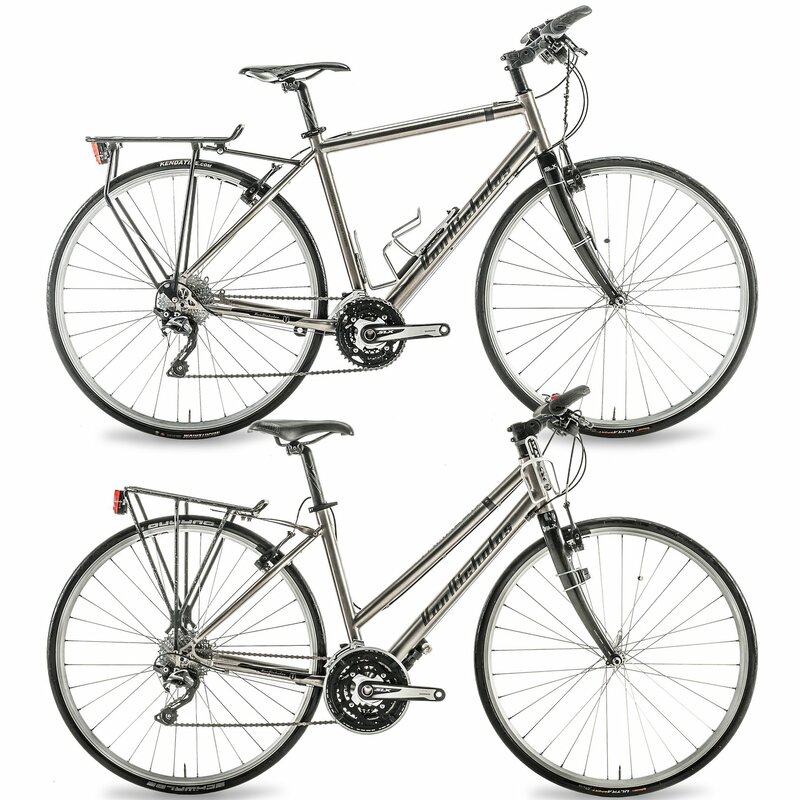 Our aluminum hybrid bikes are ideal touring machines. They are equipped with Continental Contact 700×32 tyres with anti-puncture layer, solid rear rack for panniers or trunk bag, fenders, chain-guard and kickstand. The geometry and the Ergon GP2 grips allows for a comfortable position and the reliable 3×10 Shimano Deore drivetrain won’t leave you out of gears on a steep climb. 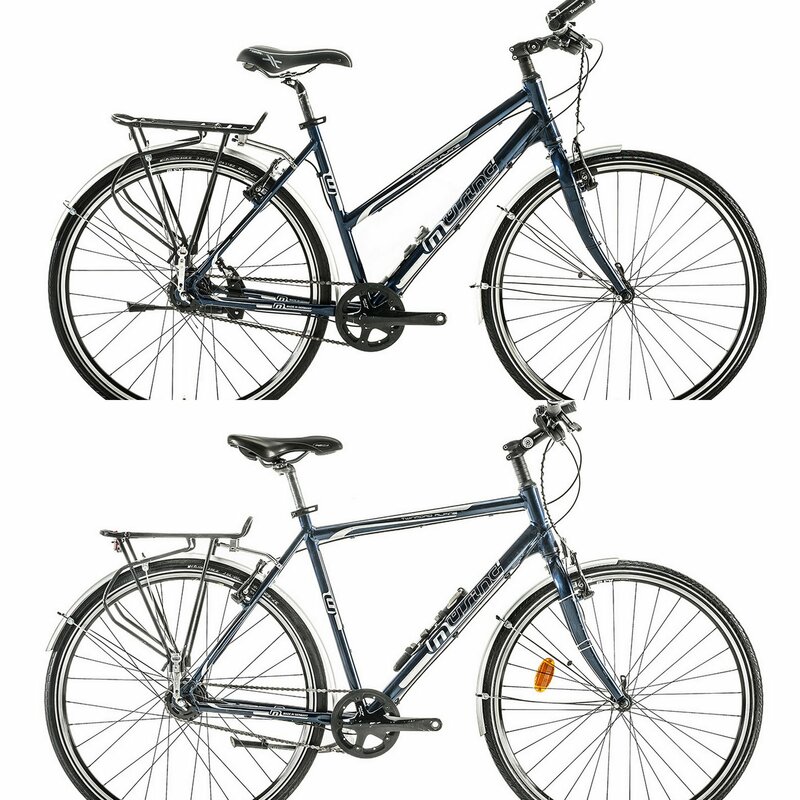 The Hybrid Mixte bike offers a step-through frame for easy mounting and dismounting. All bikes come with cyclometer, bell, lock, pump, water bottle cage/s, a water bottle, an under-seat pack that contains a spare tube, tire irons and patch kit. Cannondale tandem road 6061 smart formed alloy frame and Cannondale Fatty tandem fork / Comotion tandem with zonally-butted cro-moly steel tubing and taper gauge with CNC tandem steerer fork. Tires: Continental Ultra Sport 700c x 28. Weight: 10kg. Adjustable captain stem and stoker stem. Bikes come with cyclometer, bell, lock, pump, 2 water bottle cages, a water bottle, an under-seat pack that contains a spare tube, tire irons and patch kit. Rear rack and rear light. Our tandem bikes are always in demand so we recommend reserving early. Our fleet of bikes is mostly made up of Kalkhoff and Cannondale e-bikes. These bikes feature state of the art technology and are a fantastic option for bicycle travelers who need a little push. Although you still have to pedal the E-bike drive provides a nice boost for your efforts. For example when your pedal stroke increases to get up a hill so does the amount of power the electric motor outputs. Less effort on your part translates to less power assist. These bikes come with rapid-fire shifters that operate in the same way as a regular hybrid bike. 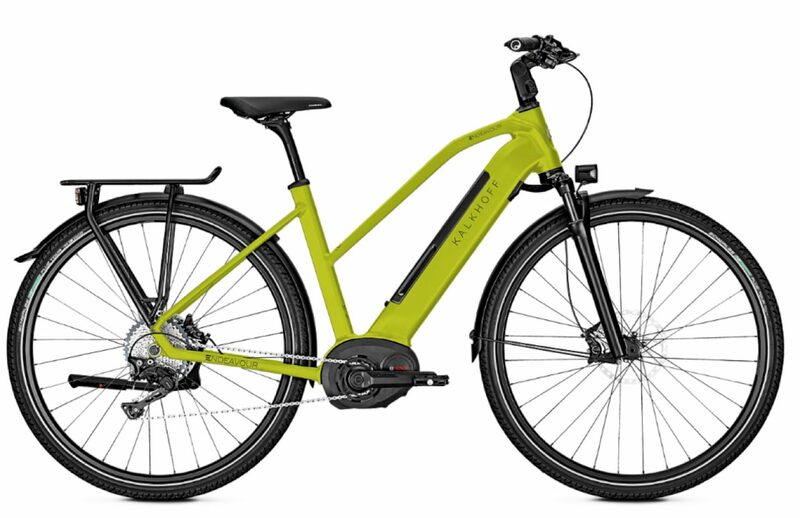 Click here for things to consider about E-Bikes. We can also supply, a great variety of accessories and additional services, such as: panniers, luggage transfers, roof racks and more. Please see the list of bike accessories and extra services for details. The van rental from Cycle Europe makes our dream of cycling in Italy a reality. It would hard to do the trip without the van with the bike racks on top.